LC001 1200mm Apex Porch Canopy Kits from Richard Burbidge are the ideal way to keep the rain off your front or back door. 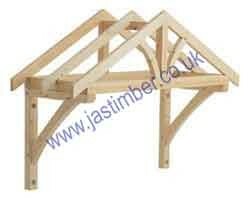 Manufactured by Richard Burbidge from Joinery quality PEFC Certified Scandinavian Redwood Pine Softwood. - Porch Finial turning LC200.